As I was thinking about people to interview on this podcast, I wanted to get the perspective of wellness professionals in the trenches who are challenging the status quo with their companies and clients. The ones who can positively impact the wellness industry from their everyday practices. I had the pleasure of meeting today’s guest, Rachel Druckenmiller, at last year’s Wellness Underground Workshop. In February 2015, Rachel was recognized by the Wellness Council of America (WELCOA) as the #1 Health Promotion Professional in the U.S. which is quite the testament to her dedication to the field of wellness. In today’s conversation, she tells us what that award meant to her, her approach to wellness, lessons learned as she’s grown professionally and a bit about her blog, Rachel’s Nourishing Kitchen. A few things that impressed me about Rachel – even at an early age she reached out to people she admired, she aims to learn and grow from her interactions with employers and employees and she actively seeks to learn (reading books outside the profession). We start out the conversation with Rachel telling us what it meant for her to win the WELCOA #1 wellness professional award in 2015. She tells us about the application process and how she was notified she was the winner. Rachel talks about her approach to wellness and how it’s changed over the years. She started her career presenting the business case of wellness but found it didn’t work. Rachel learned to listen and be open…seeking first to understand. She now believes in getting curious instead of making assumptions. I ask Rachel what happens now when someone pushes back on wellness. She feels it gives an opportunity to ask some questions and have them explain their viewpoint. Rachel tells us about the wellness program at SIG (for internal employees) and how she busted her budget in year one. Three years later, she started doing more around wellness with her clients. Rachel walks us through the challenges she faces with clients. She believes employees want more than just a paycheck, especially with millennials. She has started approaching how wellbeing efforts can help a company become an employer of choice. Rachel tells her story about chronic health issues with allergies and acid reflux. She started making changes to her diet and ended up being underweight. After she started aligning with functional medicine doctors, she got healthy and gained some weight back. As the wellness person, she felt judged after gaining the weight back. Rachel feels the future of worksite wellness involves optimizing the employee experience. Wellness professionals have a lot of opportunities to expand their role. Wellness is not just about yoga mats and apples. Rachel has an active blog (see link below) she started in January 2014 as an outlet to offer a refreshing approach to food. She focuses on whole body nourishment instead of just healthy eating. Be kind. Most people are really hurting in some way. 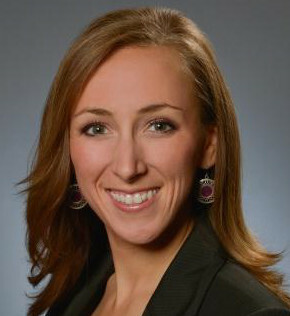 Rachel is the Director of Wellbeing at SIG, an employee benefits consulting firm in Baltimore. She has been in the corporate wellness field for over 10 years and has helped her company to win local and national healthy company and top workplace awards using a unique and engaging approach. In February 2015, Rachel was recognized by the Wellness Council of America (WELCOA) as the #1 Health Promotion Professional in the U.S and was one of the keynote speakers at WELCOA’s national summit in April 2016. She is a founding member of Global Women 4 Wellbeing and a member of Wellness Underground. In addition to consulting, Rachel leads interactive workshops and cooking demonstrations, speaks regularly at SHRM events, and is a presenter at the Institute for Integrative Health in Baltimore. She takes a refreshing approach about what to eat and how to live in a way that inspires and engages people and makes them feel alive. Rachel is a Wellness Culture Coach, Integrative Nutrition Health Coach, and Certified Culinary Nutrition Expert. She holds a Master’s degree in Health Science and a Bachelor’s degree in Psychology. Her blog, Rachel’s Nourishing Kitchen, was named one of the Top 50 Clean Food Blogs by the Academy of Culinary Nutrition earlier this year.